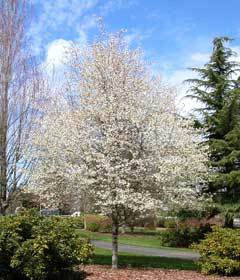 The Amelanchier Canadensis or Serviceberry tree is a resilient tree/shrub and is considered very attractive. 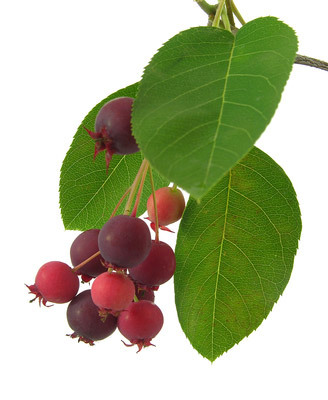 This maybe an opinion formed by the Amelanchier Canadensis Appreciation Society in which case could be considered biased. To the average Joe on the street, it might just be a tree with white flowers. Thrives well in boggy conditions, the implication being that it prefers water and quite a bit of it although you can plant it in other environments such as woods, hedgerows etc. Plant if full sun for best colours. Showy star shaped white flowers appear March to April time which turn to dark edible fruits in Summer. 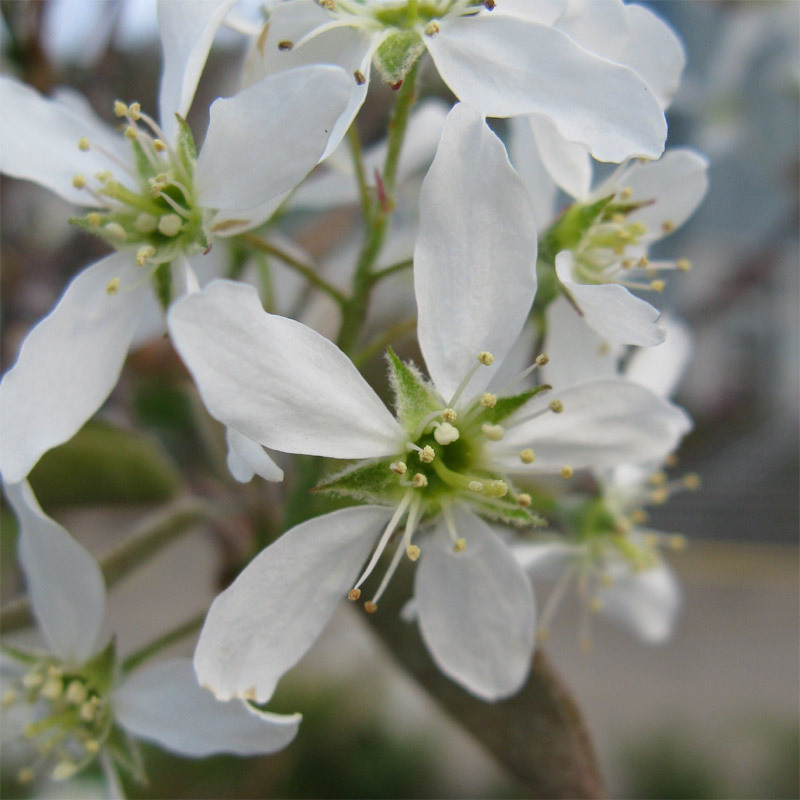 They do this without the need of another Amelanchier nearby and so are considered self-fertile. The fruits have a few small seeds at the centre and taste a little like apple although impart an almond life flavour when cooked and are high in iron and copper. You will be competing with the birds for the fruits so either set the alarm early and go to bed with your running shoes on or net the tree. 12 Litre Pots 180-240 cm, 2-3 years old.